Today Bill Holman (b.1927 in Olive, CA) actively pursues three areas of endeavor which have occupied him for decades: as composer and arranger for the Bill Holman Band, as arranger for other artists, and as educator. Holman formed his first band in high school and has headed up ensembles of various sizes throughout his career. His current group, a 16-piece band formed in Los Angeles in 1975, is still actively performing in clubs, concerts and festivals. Holman, whose roots as tenor saxophonist, composer and writer extend as far back as 1949 in ensembles with such artists as Ike Carpenter, Stan Kenton, Charlie Barnet, Shelly Manne, Shorty Rogers and Mel Lewis, is perhaps most revered today for ushering the genre of big band music into the 21 st century. In his hands the language of the big band has continually evolved, so that the arrangements he writes today, though certainly of a piece stylistically with his entire oeuvre, sound utterly fresh and of-the-moment. The combination of his innovative, virtuosic, often whimsical writing with the mighty power of his band, which has been rehearsing and performing together for 39 years, is an experience his audiences don't soon forget. He has been nominated for the Grammy Award fourteen times, and has won three Grammys - in 1987 for Best Instrumental Arrangement (Take the A Train, for Doc Severinsen and the Tonight Show Orchestra); in 1995 for Best Instrumental Composition (A View from the Sidefor the Bill Holman Band); and in 1997 for a stunning arrangement of Thelonious Monk's Straight, No Chaser, also recorded by the Bill Holman Band on their album Brilliant Corners. In a ceremony on Tuesday, 12 January 2010, the National Endowment for the Arts bestowed the NEA Jazz Masters Award - the nation's highest honor in jazz - on composer, arranger and tenor saxophonist Bill Holman in recognition of a lifetime of extraordinary achievement. Seven others received the award that day as well: Muhal Richard Abrams, George Avakian, Kenny Barron, Bobby Hutcherson, Yusef Lateef,Annie Ross, and Cedar Walton. In announcing the awards, the NEA issued this statement: "These master artists have dedicated their lives to shaping and advancing the rich tradition of jazz. The NEA is pleased to recognize their individual creative talents and celebrate their combined musical contributions." The awards ceremony took place at Frederick P. Rose Hall, home of Jazz at Lincoln Center in New York City. Wynton Marsalis and the Jazz at Lincoln Center Orchestra performed, in a program honoring the recipients' lives and works. Mr.Holman conducted the Orchestra in one of his compositions, as part of the ceremonies. 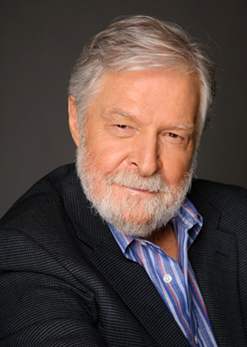 Bill Holman has been sought after since the earliest years of his career by band leaders, instrumental soloists, and singers alike for his skills as arranger. His unique style utilizes often complex contrapuntal textures juxtaposed with spare, elegant lines which form the perfect framework for a soloist. Among the artists for whom Holman has provided arrangements over the years are Charlie Barnet, Count Basie, Louie Bellson, Tony Bennett, Bob Brookmeyer, Michael Bublé, June Christy, Natalie Cole, Buddy de Franco, Maynard Ferguson, The Fifth Dimension, Terry Gibbs, Woody Herman, Lee Konitz, Peggy Lee, Mel Lewis, Carmen McRae, Gerry Mulligan, Mark Murphy, Anita O'Day, Art Pepper, Buddy Rich, Diane Schuur, Doc Severinson, Zoot Sims, Mel Tormé, Sarah Vaughan, Joe Williams, Phil Woods, and more. For decades Holman has enjoyed teaching at composing/arranging clinics and master classes throughout both the U.S. and Europe. In the U.S., he has taught at the Berklee, Eastman, Manhattan, and Grove Schools of Music, and at many universities. Outside the U.S., in such countries as Germany, Holland, Switzerland, England and in Scandinavia, he is frequently invited to conduct established resident jazz orchestras at radio stations and festivals, in addition to educational clinics and workshops. Bill Holman is a native of California whose first instrument, taken up in junior high school, was the clarinet. In high school he switched to tenor saxophone and formed his first band. He served in the U.S. Navy from 1944-1946. He studied mechanical engineering at the University of Colorado and at UCLA, but eventually focused on music studies, which he pursued at Westlake College with teachers Dave Robertson and Dr. Alfred Sendrey. He also studied privately with Russ Garcia (composition/arranging) and Lloyd Reese (saxophone). He was active in the West Coast Jazz movement of the 1950s as both a player and a writer. He played in small groups such as the Conte Candoli Quintet, the Shelly Manne Quintet, Shorty Rogers' Giants, and he co-led a quintet with Mel Lewis. He has made recordings throughout his career with his own ensembles, and his arrangements and compositions have been recorded hundreds of times by others over the course of his 60-year career. He has consistently been voted Best Arranger in Readers' and Critics' Polls, and has received many awards in recognition of his contributions to jazz (see partial list below). In 2000, the Bill Holman Collection of scores and memorabilia was established at the Smithsonian Institution in Washington, D.C.